Earlier Microsoft was not thinking of taking any cuts on sales of all the applications for the Windows 8 but following a check on developer terms, they decided to seek a 30 percent cut for some of the applications. Only the conventional applications will avoid the 30percent cut mark as reported by the Windows Weekly podcast reports. The apps seeking the cut are mainly for the Metro User Interface of Windows8. However, this cut will be mainly applicable for the applications designed specifically for the user interface as opposed to applications made for the traditional Windows desktop interface. Microsoft won’t require applications to be published in their store; rather this would help them to get more exposure for the applications. During an analyst meeting, Microsoft CEO Steve Ballmer mentioned that Microsoft would welcome Metro-native Amazon Kindle or Apple iTunes application. 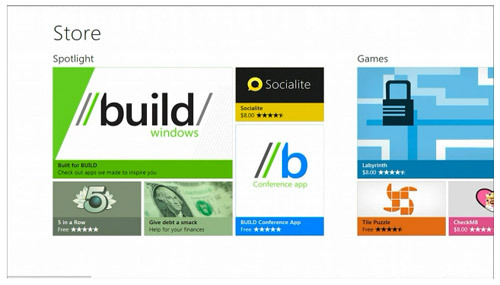 This shows they are open to their key competitors for developing applications for Windows 8 Metro.